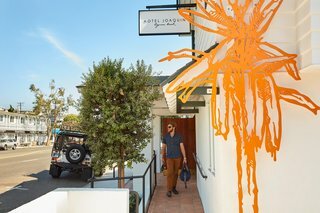 Thanks to the design expertise of Studio Robert McKinley and two years of extensive renovations, what was once a dilapidated roadside motel known as The Motor Inn in Laguna Beach, California, is now the sophisticated, 22-room Hotel Joaquin. 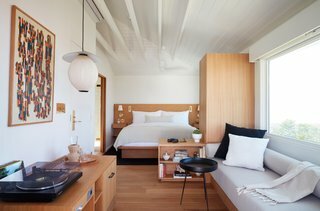 The newest property in hotel group Auric Road, the boutique hotel blends old world sophistication with laid-back beach vibes. 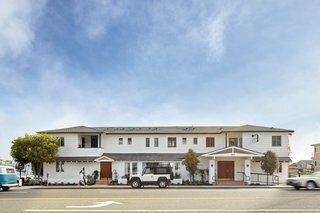 Located just a block from the beach next to the popular Heisler Park, Hotel Joaquin is in an ideal home base for adventure and exploration. This roadside motel is no longer a forgotten lodge. Inspired by the Mexican land grant of Rancho San Joaquin, Hotel Joaquin echoes the Spanish heritage of its Orange County setting. 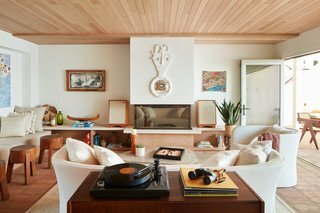 Layered decor blends classic Spanish influences with California beach culture. 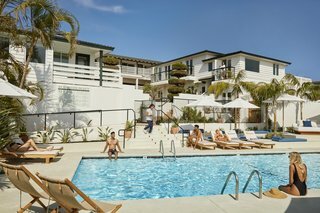 Sweeping views, a tranquil pool, and resort-style service make this Laguna Beach hotel a worthy destination. 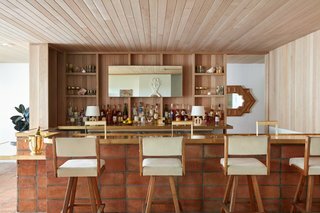 Midcentury California beach culture and the classic look of the Mediterranean coast blend to create cozy, lush lounge spaces in this Laguna Beach retreat. 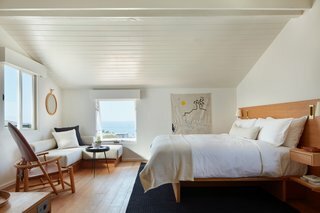 Each room is carefully outfitted with a collection of artwork and accessories that create a home away from home along the California coast. 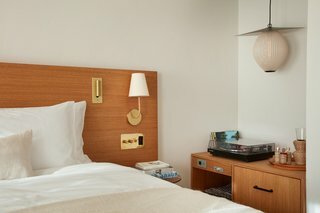 Instead of televisions, rooms are outfitted with vinyl record players and a curated music collection. 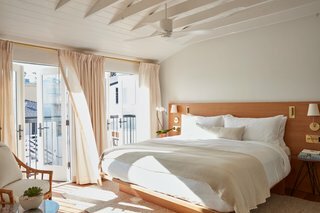 Whether it be mountain, garden, or ocean views, the beauty of Laguna Beach permeates each of the guest suites, which are outfitted with vintage pieces, customized furniture, and curated artwork. Chic and soulful, the layered decor facilitates an easy, unplugged atmosphere. A large picture window in premium room La Vue frames ocean views from sunrise to sunset. A Juliette balcony with double French doors allows the ocean breezes to fill this stylish retreat, which has high, vaulted ceilings. 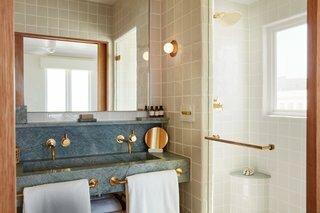 A monolithic, imported stone vanity in the bathroom is accented by brass fixtures and hand-cut and crafted tile. 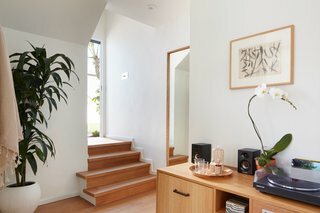 Complete with not one, but two Juliette balconies, the Soleil room opens to the smells and sights of the garden below, looking out onto the Pacific Ocean. Spa-like bathrooms are the ideal place for a little R&R. 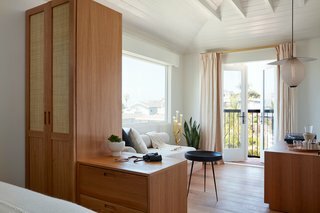 From the Shaws room, guests can enjoy both ocean and garden views while lounging on the chaise. The resort offers an all-access pass to the Adventure Garage. 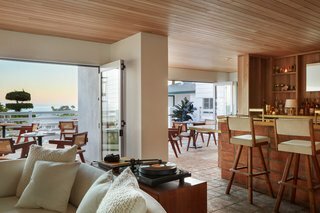 Complete with surfboards, hiking gear, diving equipment, and bicycles, it comes with all the equipment guests need to immerse themselves in the coastal, California lifestyle. At the end of the day, guests can refresh themselves with a cocktail from The Bar before indulging at the hotel’s sea-influenced restaurant Saline. Guests can gather by the pool, which overlooks the ocean. Drink and food service is available. The Bar at Saline uses all fresh ingredients to provide an inventive cocktail menu with nods to the classics. 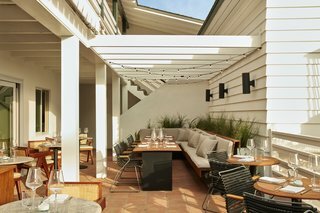 Inspired by its own backyard, Saline is a culinary delight with a sea-focused menu and modern Mediterranean decor. Dine well with fellow travelers beneath the stars and lights.